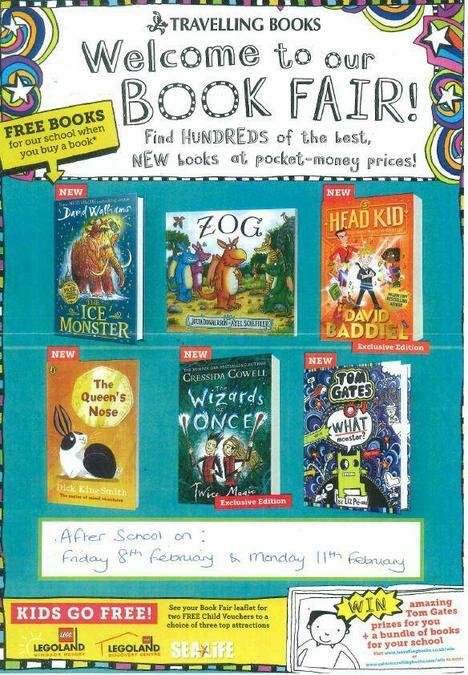 Please come along to our book fair taking place in the school hall immediately after school on Friday 8th February and Monday 11th February 2019. The children will also have the opportunity to preview the books on offer during the school day on Thursday 7th February, and will bring home leaflets (including discount coupons). Our school can earn up to 60% back in free books from this book fair!